-The following inadvertently ended up in my inbox via a BCC re a starting writer at a major newspaper who probably was not aware that it was intended to be confidential. There is little need to comment on this since it pretty well speaks for itself.-PLB. 1. Don’t worry about the headline: that is not under your control. 3. In the body, you can simply use your reportage skills and describe the events or issues. As already mentioned, the area of tobacco covers many aspects and oddly enough as long as you refer to death and disease, or express concerns about the motives of producers, it will be interpreted as thoughtful criticism. Even if the concern is for instance about a shortage of water affecting tobacco crops, a collection of historical corncob pipes or whether cigarette butts are a major source of litter, it will only help you to add something about the impact of tobacco use on public health. One other note on sources. Tobacco issues are also unique in that it is the only area in which you can not only report the opinions of children and teenagers about something that has some factual basis but those opinions can be considered the equal of any evidence. In fact, in this area they are better than evidence, and add that needed human touch to the story. (For example, if you get quotes from children saying they are being targeted by tobacco companies, it means that tobacco companies are targeting them –if you have some background in science reporting this may seem odd but consider that federal agencies and renowned health organizations will use this as evidence). 4. Finally, the summarizing paragraph(s) should contain the phrase “every year over 400,000 people die as a result of tobacco use”. (The only acceptable substitution for this phrase is one which has a global rather than national figure). Back in journalism school, no doubt you were told to show both sides of every story and while that is quite true in most areas, here it has a specific manifestation. If you are reporting anything that is optimistic (let’s say a decline in smoking rates) always follow up with a cautionary note of some kind (but smokeless tobacco use is up). The opposite however is not required. In tobacco, all news is bad news, even the good news. Some writers have taken the position that as with other areas of journalism, changing the pattern will make them stand out, and they have written tobacco related articles and deliberately omitted the “leading preventable..” and “over 400,000…” phrases. Some of them have even written articles that suggest there may be some benefits to tobacco use or that there might be some downside to higher tobacco taxes. Some have written about the lucrative anti-smoking industry or how current policies actually work against public health. These seem like worthwhile areas for investigative journalism but be wary. Those writers have stood out but where they have stood out is on the unemployment line. Be creative if you like but follow the basic template because even if you get your unique approach by your editor, you will cause confusion in readers who have come to expect these touches no less than they expect good grammar. -and here is one of the articles that was attached to the e-package (PLB). Generating the proinsulin protein in plants is a low-cost alternative to standard production methods, Dr. Lendl Trott, from the University of Florida in Palmetto, and colleagues note in their report in the Plants and Biotechnology Review. In the study, the scientists describe the creation of lettuce and tobacco chloroplast lines that produce a fusion protein consisting of a subunit of cholera toxin joined to human proinsulin. Giving powered tobacco leaf to diabetic mice helped preserve insulin-producing beta-cells in the pancreas, Trott’s team reports, and this was associated with lower levels of glucose in their urine and blood. Children who saw the tobacco plants said that “they are scary looking” and “I think they want to hurt me”. The children’s conclusions indicated that the tobacco industry was taking advantage of an unforeseen loophole in marketing regulations so researchers are moving on to using genetically engineered lettuce instead. They add that in light of the encouraging results in animals, testing in humans is now underway. Despite the potential for helping millions of diabetics, tobacco use is responsible for over 400,000 deaths every year in the United States alone. It is the main cause of lung cancer and a major cause of many more. Cigarette smoke contains over 4000 different chemicals. Deb MacIntosh, the receptionist at the Ohio Freedom for Non-smokers Association said that these scientists have offered no assurance that these plants cannot be cured and smoked. “They might help a few diabetics but just one of these plants if smoked could cause the deaths of many non-smokers. Everybody knows there is no safe level of second hand smoke. We know that stopping tobacco will stop those deaths so it is utterly irresponsible that anyone would engage in this kind of research”. Up to about a year ago the usual news report on electronic cigarettes was unabashedly positive. Here was this great new product that smokers were finding to be a pleasurable substitute for cigarettes. The stories would feature smokers and their reports of improved breathing and in just about every case they would also mention how they had tried to quit before and failed. But here it was, the answer to everyone’s dreams. You’d think that after all that lip flapping about how bad smoking is, how everyone really should quit, about that 2nd hand smoke, and even all that nonsense about cigarette butts clogging the streets, that e-cigarettes would have been welcomed with open arms. You’d think that health authorities would be falling over each other to tell any smokers who had not heard about this yet. But though many smokers have heard the good news every anti-smoking agency and activist seems determined to get this product banned. (And yes, we will concede the fact that its absolute safety is not determined yet but whether it is much safer than cigarettes, and whether the vapor is much less harmful than 2nd hand smoke is without a doubt). 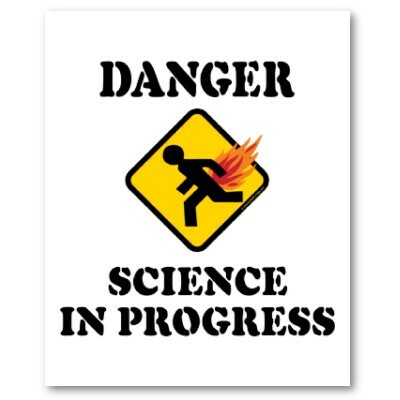 Now, the average article might still contain one or two smokers talking about their quitting but the state sponsored fearmongers have taken central stage and making sure that everyone thinks more about these products being not 100% safe and less about them being safer than smoking. Kind of like saying “well, we have not looked really closely at that Coast Guard vessel yet so better stay on your sinking ship”. But just as criminal as that is, and because it seems to be the standard response from reason-challenged folks when up against the better mousetrap, its time to trot out the kids. In this overall fairly balanced article from ABC News, Electronic Cigarettes: A Safer ‘Smoke’ or Another Bad Habit? E-Cigarettes Help Some Quit, but May Be Too Appealing to Teens, we have a couple of real gems. The ease of concealing an e-cigarette habit (no smoke, no smell) may also make the product more appealing to teens, some argue, and certain brands of e-cigarettes have also been accused of marketing to kids by offering candy-like flavors such as chocolate, cherry, mocha, or almond. Sure, they would be appealing to teens who are already smoking who would care about concealment but otherwise? And don’t get me started on the flavor issue…I am one of those insane grownups who likes chocolate and mocha, and I like those on just about everything you can add them to. I haven’t tried vaping chocolate but it sounds pretty cool. And it might just beat the hell out of plain old cigarettes, which can only be good. Because teens can get them online by pretending to satisfy the age restrictions many brands place on their websites, “I wouldn’t be surprised if this becomes a problem,” he says. Yes, we really have to be concerned about those teens who might go online and lie about their age, have access to a lot more money than you need to buy cigarettes, go through a lot more hassle than getting a smoke from a friend or stealing it from their parents, actually smoke for some reason other than being a little edgy (because when you are a teenager I’m pretty sure smoking cigarettes is a bit more rebellious than those prissy safe ecigs). But, really, considering the idea that smoking might in fact be more harmful for developing bodies than for us older types, wouldn’t you rather they be vaping instead? Even if e-cigarettes lack the toxicity of tobacco cigarettes, the nicotine in them is still a stimulant substance that you would want to keep out of the hands of minors, just as you would caffeine or alcohol, says Dr. Edwin Salsitz of the Division of Chemical Dependency at Beth Israel Medical Center. And then, this. Caffeine is a pretty good example of something that is like nicotine and something that is preferred by adults but also that some kids gravitate towards (I know I did). Would you really be all that worried about your kids drinking coffee? But the big point is this. We were on the verge of the biggest public health revolution of all time. You would be hard pressed something bigger than vaping replacing smoking. But it seems this is is all worth throwing away at the thought of some kids using something analogous to coffee. In the words of the immortal Charlie Brown: Good Grief! 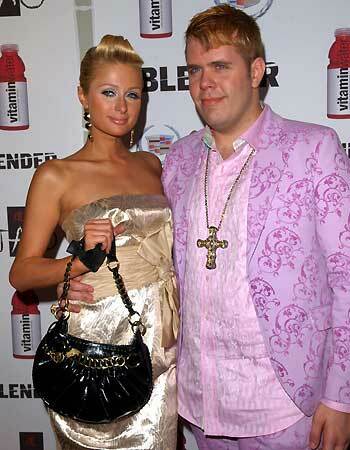 I really dislike both Paris and Perez Hilton. In fact, and though you may think I am being hyperbolic or fatuous, I really do think that culturally, they are corrosive elements, and personally, they diminish my quality of life. I would rather spend a day in a room blue with second hand smoke than a day in a room with either one of them. Now I could join an anti-Hilton group, I could start a website devoted to disparaging them, and I could advocate for all public parks to be declared off limits to either one of them. But I don’t. Because like most people, I am a reasonable human being. Paris or Perez Hilton have just as much right to be in a public park as I do, even though I find their presence much more disturbing (and much more of a certain threat to my culture) than any number of smokers. Interesting things going on in Wichita these days which illustrate some inconsistencies in the anti-smoking movement. First, to clarify my own position, I am old enough to have experienced life when there were few smoking restrictions. I much prefer how things are now in general. I enjoy being free of the smell of stale smoke in my clothing and when some places (including hospital television rooms) were so thick with blue smoke you could hardly see. This is much better. But I do not hate being around smoking in public and even find it pleasant to a degree (almost nostalgic at times). I miss pipes terribly. They, the sweetest smelling smoke, ranked right up there with the smell of campfires and barbecues. And though I do not like really smoky bars, I prefer an atmosphere that is inclusive rather than exclusive. Second hand smoking is not something that I have concerns about. I don’t like people smoking in my house because of the lingering smell, not because I think it will harm me. That being said, I enjoy the clean air around me, the non smoking in enclosed spaces, and feel overall this is an improvement. However, it is plain wrong that smoking has been curtailed on patios, public parks, various open air spaces, and that businesses cannot determine whether they should be smoke free. Wichita plays into this because Kansas has a state law that bans indoor smoking with the exception of tobacco shops, already established private clubs, special rooms in adult care facilities and casinos. The only one of those exceptions that doesn’t make sense to me is casinos. Everyone in tobacco shops is expressly there to voluntarily engage in tobacco-related activities so making those smoke free is absurd. If you have your own club you should have the right to make any rules that don’t harm others even if they are silly (people who disagree don’t need to join; I would not join a smoking club but these days, if anyone needs private clubs, it is smokers). With adult care facilities, the damage is probably already done and it is a poor sport that denies an eighty year old what might be one of their few remaining pleasures added to the fact that this is one population that has a harder time going somewhere else to smoke. But casinos are the one place where there is no special group. Maybe the reasoning is that gambling is degenerate and anyone doing it enters a state in which protection from other dangers is unwarranted. (But of course we all know that exemptions tend to come from lobbying and not from any reasoning in the traditional sense). So then in the city of Wichita, a restraining order has been enacted impeding the state law which was going to take effect next week in the city. The restraint was on the grounds that in the city the state exemptions would not be applicable and therefore the law was more stringent on the local than the state level. Currently smoking is allowed in Wichita restaurants. Now, I am not arguing so much against Wichita going smoke free though I would prefer that to be up to the discretion of the business owners. I like a smoke free restaurant but I do not like an alcohol free restaurant (the point is that I prefer to have the choice). And tavern and eatery owners should be able to decide which market they would like cater to. I won’t argue the last point because it is true however the first and second are intriguing for different reasons. The first because all along anti-tobacco groups have argued that there is no negative economic impact to going non smoking, and have gone so far as to censure research that examines that aspect (see Michael Marlowe’s Reflections of a Nonsmoking Scholar). The second point is amusing in that just like earlier arguments against e-smoking just because some people cannot tell the difference, they argue against the co-existence of smoking and nonsmoking areas because officials or complainers will have to check with the owners on the rules of the establishment before they can levy fines and hurl accusations.